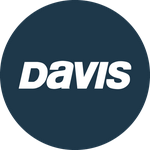 Davis Instruments Support, FAQs and Troubleshooting - My Mega-Light does not work after radio transmission. Why? All Categories ​>​ FAQ ​>​ Marine ​>​ My Mega-Light does not work after radio transmission. Why? My Mega-Light does not work after radio transmission. Why? If you hang a Mega-Light from an insulated backstay wire used as a single side band radio antenna, the circuit will be damaged if the light is on during radio transmission. You need to unplug or move the Mega-Light when transmitting on single side band. My Mega-Light is dim and does not shut off in daylight. Why is this happening? Why didn&apos;t my CarChip report anything in the vehicle trouble log when the ABS light was on? What should I do if I think my station was struck by lightning and it stopped reporting data?